A group of Year 10s visited Cornwall College recently as part of their Health and fitness course. The trip helped to complement their recent work on the respiratory system. 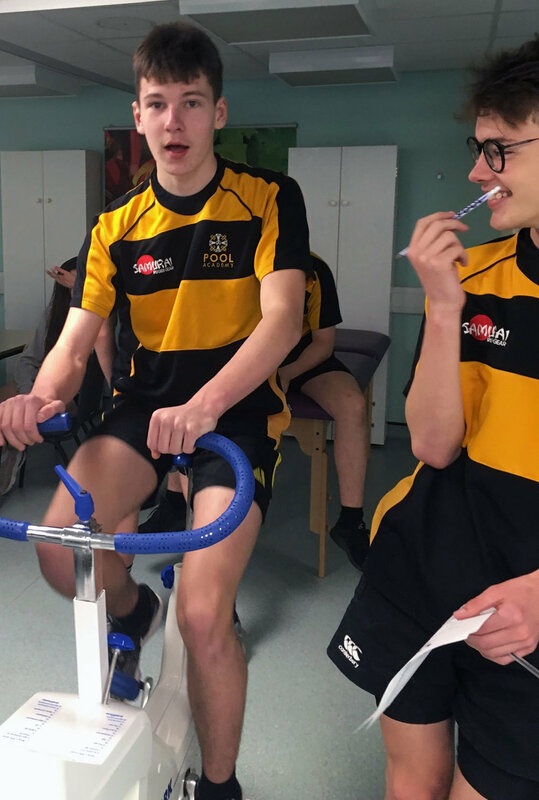 Sharon Bright, PE teacher at Pool Academy, said: “The students took part in a range of laboratory fitness test including VO2 max and the wingate power test. “The students worked really hard and were a credit to the Academy. She said the students are going back for a second visit to take part in some field fitness test.